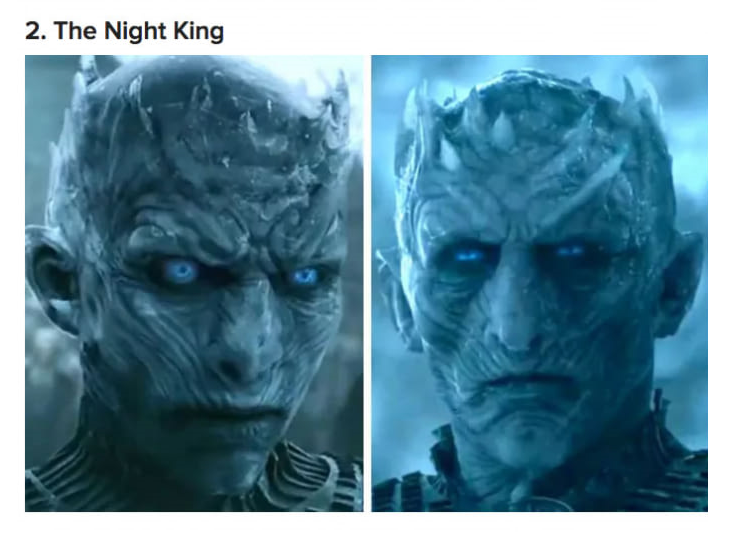 11 “Game Of Thrones” Characters You Didn’t Know Were Secretly Replaced. No.11 Was Replaced Twice! Game of Thrones Season 7 is about to end and we cannot get enough of it. 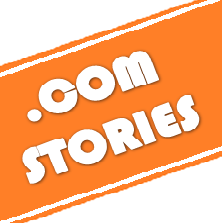 In fact, so many articles have been shared about the recent events in Game of thrones that fans have made it the most important phenomenon in the world. Some might say it is over hyped and too violent or simply ‘not for them’. But, those who love the show, love to know every single detail. 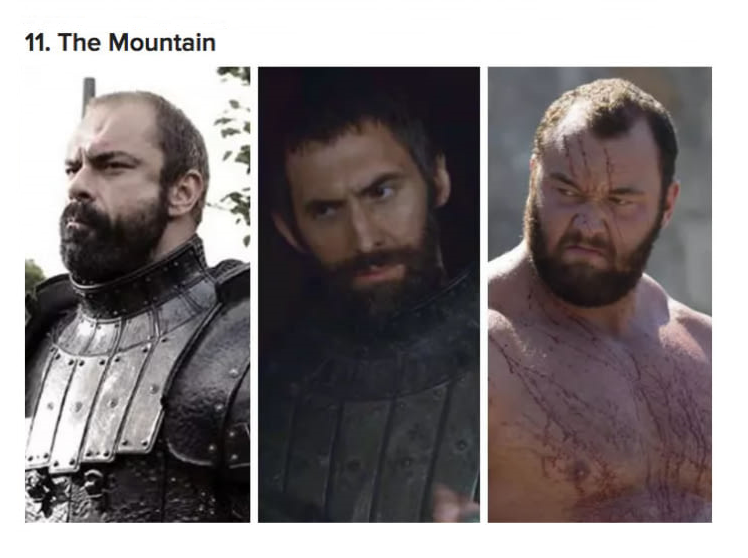 The Mighty Mountain has actually has been replaced 2 times, meaning 3 different actors have played Gregor Clegane. In Season 1, he was portrayed by Australian actor Conan Stevens. He was replaced in Season 2 by Welsh star Ian Whyte. And since Season 4, professional strongman Hafþór Júlíus Björnsson has portrayed The Mountain. 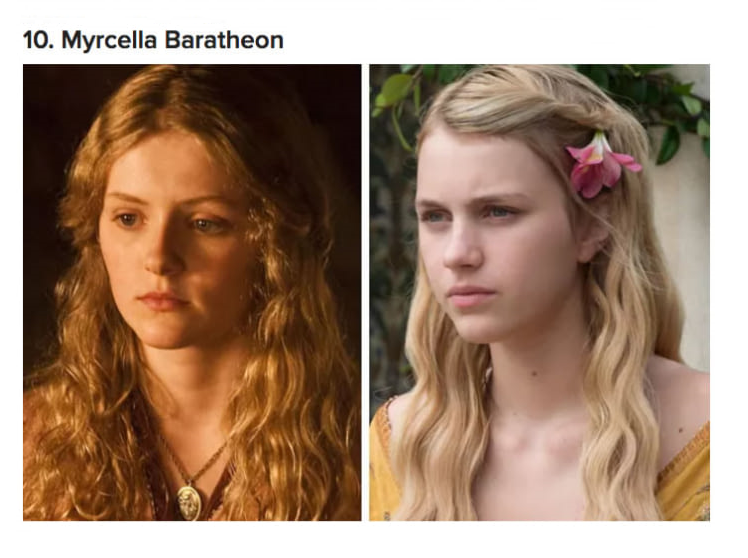 Not that by the time they replaced Myrcella, we really cared about her character but when she was replaced in her later years, her character made much more sense. Myrcella was originally played by Irish actor Aimee Richardson for Seasons 1 and 2. The character didn’t return (onscreen) until Seasons 5 and 6, at which point the role had been recast with Nell Tiger Free. 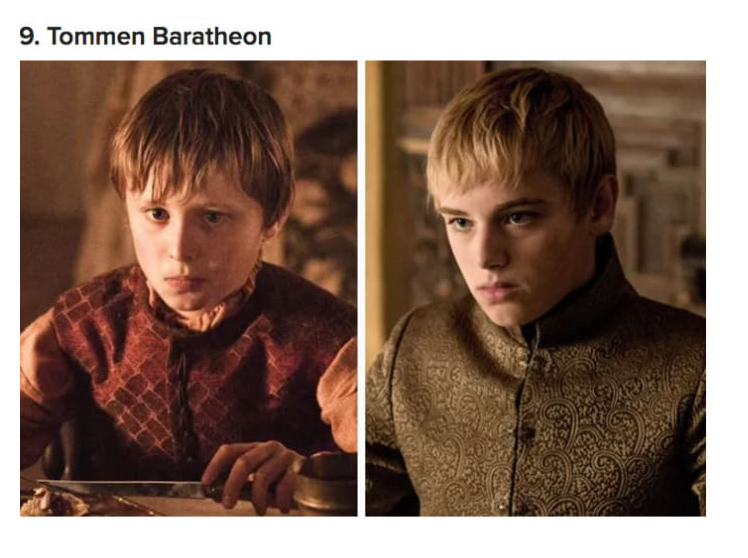 The casting team of Game of Thrones probably realized that if Tommen is going to be the last King before the war, he better look a little mature. Sweet Tommen was originally portrayed by Callum Wharry for Seasons 1 and 2. Later, he was then replaced by Dean-Charles Chapman (who also played another character altogether, Martyn Lannister, way back in Season 3!) for Seasons 4–6. 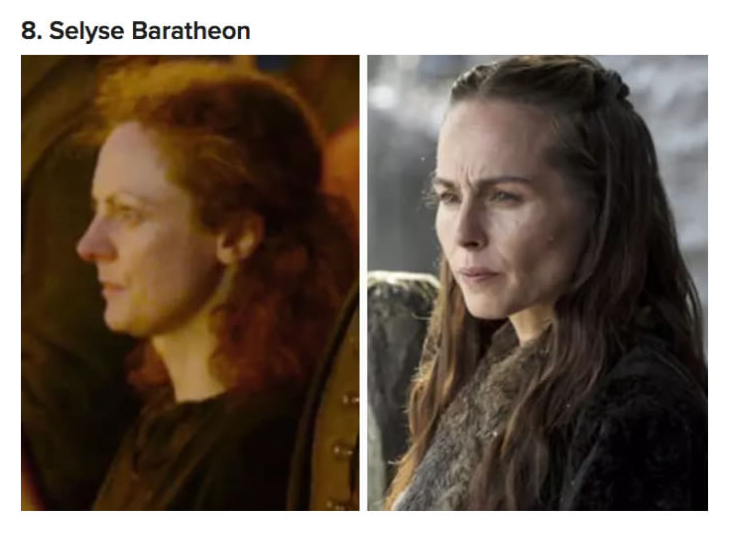 When we first saw Stannis Baratheon’s wife, she was played by Sarah MacKeever and was essentially a background actor in a single scene in the Season 2 premiere. Later, in Season 3, Selyse was introduced as a named character and was recast with Tara Fitzgerald in the role. 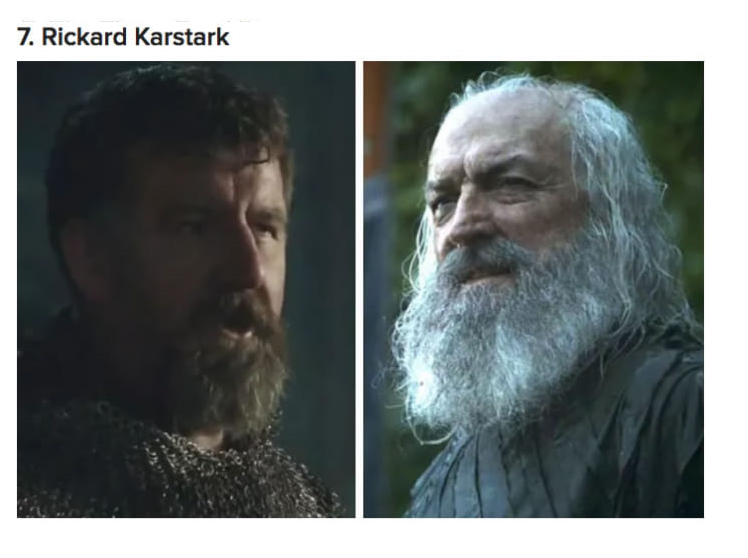 Steven Blount played Stark-loyalist Rickard Karstark in Season 1, but when the role was expanded in Season 2, he was replaced by the gray-bearded John Stahl. 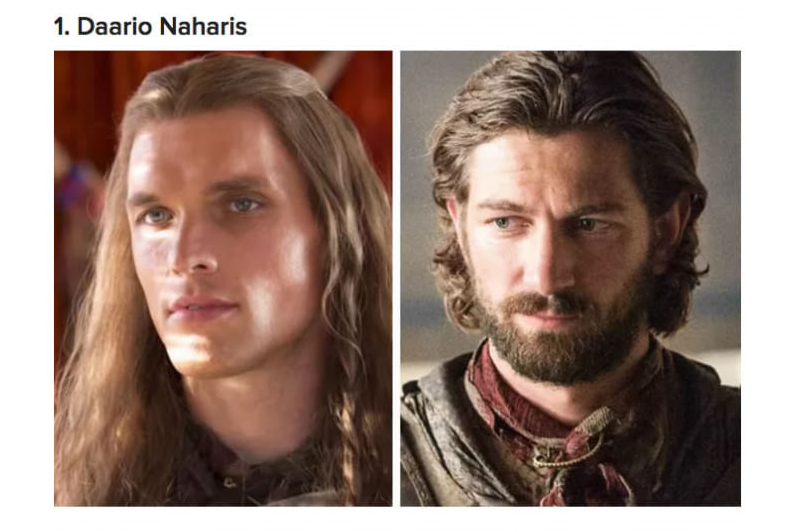 Yep, the jerk who stabbed Talisa repeatedly at the Red Wedding was recast. 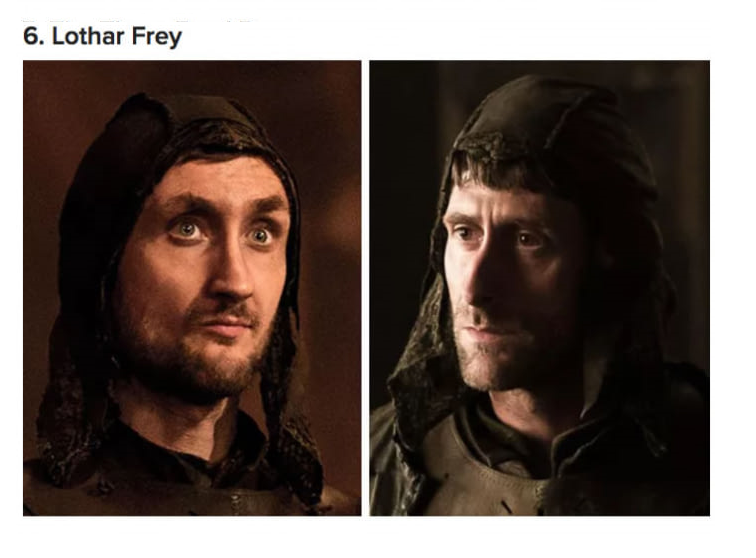 He was played by Tom Brooke then, but was replaced by Daniel Tuite in Season 6…and now he’s meat pie. 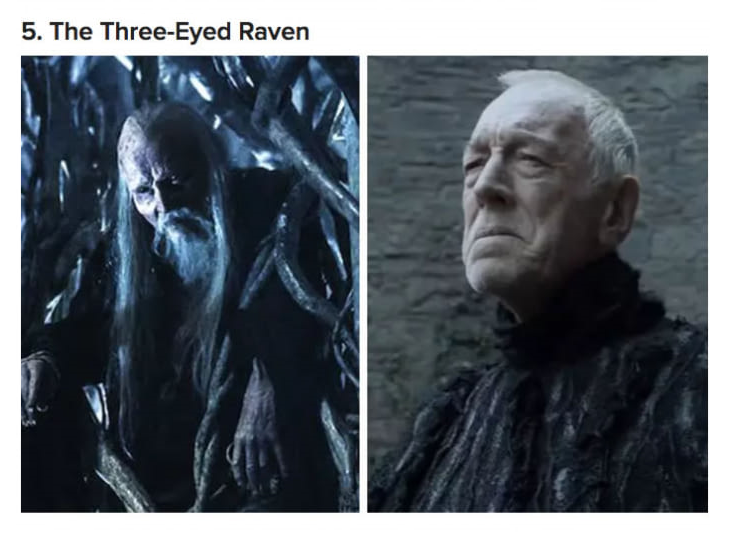 Veteran British actor Struan Rodger played the Three-Eyed Raven very briefly at the end of Season 4, but when the show returned for Season 5, Academy Award-nominee Max von Sydow took over the role. 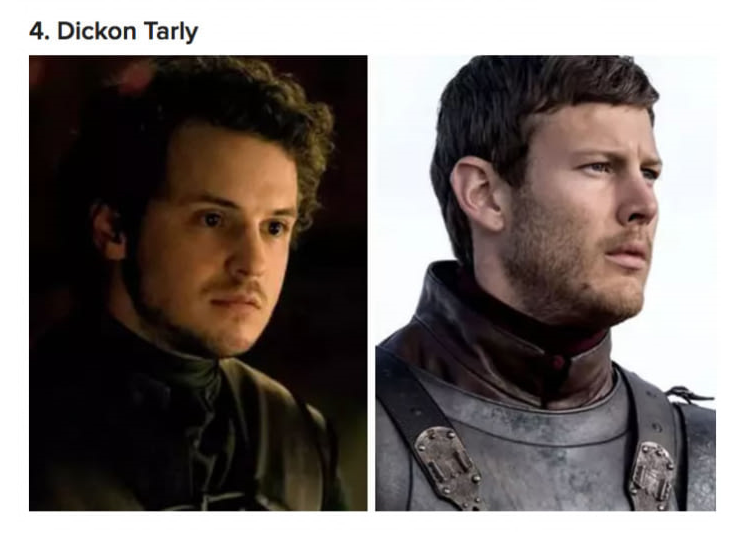 Freddie Stroma played Dickon Tarly in Season 6, but was cast in ABC’s Time After Time and had to drop out of Thrones, so Tom Hopper and his abs stepped into the role. By the way, you might recognize Stroma as Cormac McLaggen from Harry Potter and the Half-Blood Prince. 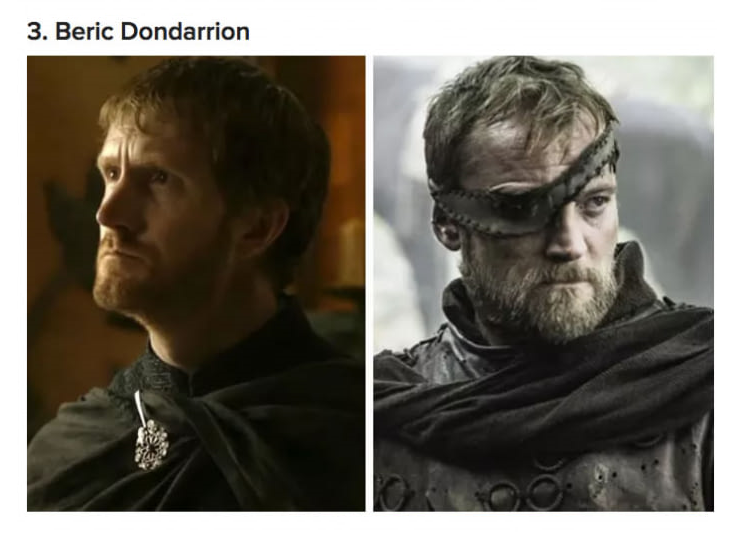 This actually came as shock to me as he is one of the most characters in GoT . Aussie actor David Michael Scott actually portrayed Beric in a blink-and-you’ll-miss-it scene back in Season 1. He was later replaced by Richard Dormer who has portrayed the role since Season 3. It justified since Beric has been dead too many times. 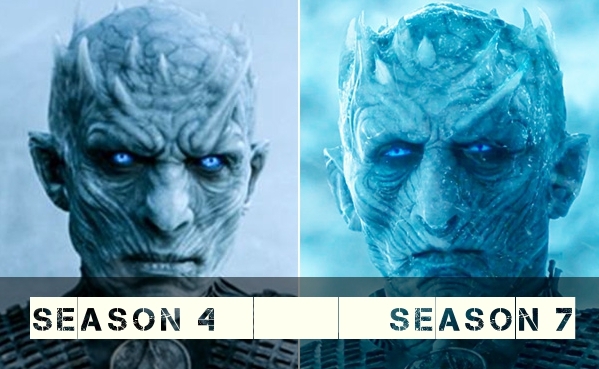 For Seasons 4 and 5, the Night King was portrayed by actor Richard Brake. Since Season 6, however, he’s been played by Slovak actor and stuntman Vladimir Furdik — whom we’ve also seen in “human” form when the Children of the Forest turned him. Originally compiled by Buzzfeed and 9Gag!